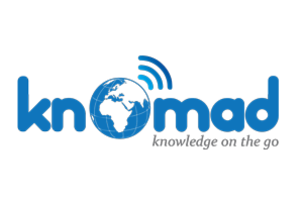 Knomad provides easy access to “knowledge on the go,” harnessing “ears-free” downtime in our daily lives to help us stay informed and entertained. Knomad aims to become the first major social radio app, making it easier for users to discover, listen to, and share spoken content (radio shows, podcasts, TED talks, news updates, interviews, lectures, etc.). Think Twitter meets Spotify for non-music audio: a social platform complete with easily shared cloud playlists, a social feed, the option to follow people and organizations, and smart topical searching. Knomad will become publicly available in the iTunes store in summer 2014. To learn more, check out our brief survey (https://www.surveymonkey.com/s/knomad). RT @AlexCartaz: Tomorrow at noon PDT @CriminalShow co-creators are doing a LIVE chat on @ProductHunt. Stop by and ask a question!